Working with Quest will help you reduce solution development time, cost and risk. Quest provides back office professional services ranging from call center to engineering services. As OEMs look for more turnkey partnerships to augment their services and operations requirements, we have expanded our service deliveries to meet their needs. 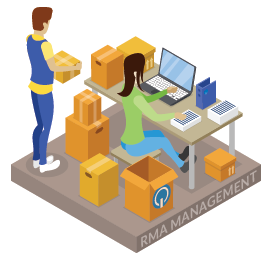 Return Material Authorization (RMA) Management is an integral part for any organization wanting to support their products and customers effectively and efficiently. 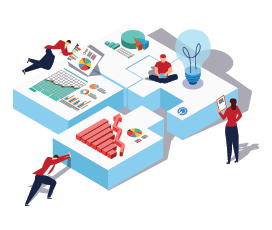 Many OEM's are required to build an operational infrastructure which diverts from core competencies of product development and sales to manage this process. Quest's OEM services includes a global RMA management offering with its reverse logistics solutions, providing OEMs with a turnkey comprehensive solution to manage product returns and root cause metrics for service parts and instrumentation. Quest can be a valued resource in allowing OEM's to focus on developing products and allowing Quest to focus on the backend support which will allow its OEM customers to increase customer satisfaction while reducing costs. From white-labeled service of shipping a repaired product to the customer to return management back to the end user or designated stocking locations, Quest can efficiently and transparently execute this process. 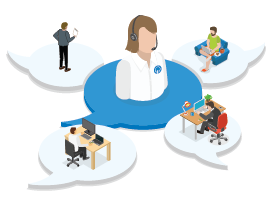 Call centers are a vital support lifeline to OEM's, allowing customers to report issues and obtain key information in navigating through non critical and critical situations. Leverage Quest's resources to manage all levels of customer interactions including customer service, technical support and services management. With QuestNet℠ the OEM has the access and visibility to monitor customer logs to ensure a high level of service quality. Quest's engineers can assist in not only troubleshooting various electrical and mechanical issues, but also help in improving a products performance and reliability from technical evaluation, and analysis of failures associated with supported products. 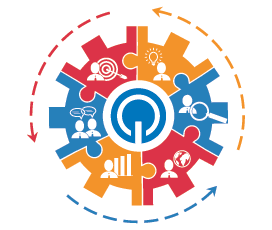 Quest's technical team has vast experience across multiple vertical markets and products. OEMs often off-load specific projects and work load to augment operations and services to reduce their operating expenses. Quest has means and systems in place to manage up to large scale full cycle turn-key service and operations projects.